Apostolia Papadamaki, director/choreographer, creates artistic concepts and performances combining dance, music, visual arts and video art. She has presented her work in more than 40 festivals around the world from Europe to the U.S. and Latin America. She has extensive experience in cultural events, tailor made events and site specific events. In September 2015, she choreographed the 1st underwater performance in the world (Drops of Breath) at Cape Sounio, attracting international media attention. She created the opening ceremony of the 12th Paralympic Games in Athens Olympic Stadium (2004), broadcasted on TV in 30 countries, the opening ceremony of the European Gymnastic Championship (2006) and the ceremony for the Greek Presidency of G.C. of Youth. Apostolia loves to create cultural experiences in sites of archaeological, historical and morphological value such as Epidaurus, Dodoni, Delphi, Delos, Samothrace, Sounion. She has collaborated with private entities (Grecotel, Amanzoe Kivotos Art Hotel, Opel, ECA2, Cocomat, Wind, Bonduelle France, Nivea France, Corona Mexico) and public bodies (Region of Attica, G.N.T.O, Ministry of Culture, Ministry of Foreign Affairs). Apostolia was the President of the Board of the State School of Dance, Board Member of the Centre for Ancient Drama and the International Theatre Institute. 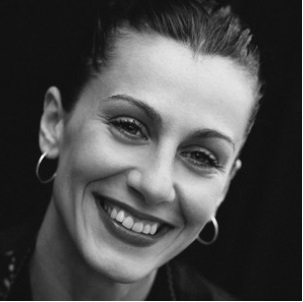 In 2013, she was the Artistic Director for Dance in DIMITRIA International Festival/Thessaloniki. She is the Greek Project Leader for the European project “The Underwater Heart of the Mediterranean (2014-2016)”, partially funded by the E.U. Creative Europe-Horizon 2020 program. She got her dance-choreography diploma with honours from the State School of Dance of Greece and under scholarships from the A. Onassis foundation and the Goulanris foundation, she studied choreography in New York. She holds a 1st prize of the Rallou Manou choreography competition and a 2nd prize of the Bagnolet International Competition for choreography.